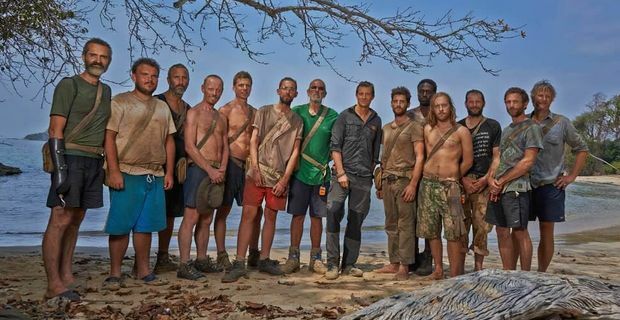 It has been a week of mixed fortunes for Bear Grylls' survival show The Island. Viewing figures for the show have been very positive with the episodes aired so far getting just under 3 milllion viewers each. However, Channel 4 have been busy with complaints over some scenes that viewers think were staged. Grylls hit back at suggestions scenes were staged on Twitter saying "I don't understand the critics here - yes production made sure the 13 men wouldn't die & @TheIsland had a source of water & food". Another common complaint form viewers was that some contestants on the show were experienced survival experts and therefore the show was not as much of a challenge to them as rookie contestants. Who would have known a survival show would prove so controversial! In response to the allegations of experienced contestants appearing on the show, Grylls tweeted "Let's not belittle the men's courage and resolve. Both get tested to the limit soon. I would like to see the critics on @theisland ! #series2". Despite all the complaints and outrage, The Island looks set to plough on ahead full steam. Over 40,000 applicants have registered their interest in appearing on Season 2 of the show after producers green-lighted it last month. Channel 4 have been inundated with complaints over some scenes that have made viewers "feel sick". The scenes that disturbed viewers involved a doctor administering enemas in front of the cameras to two contestants who were suffering with bowel problems.